There are many ways you could make your own salicylic acid peels, but for those who want to do this on the cheap, there’s one formula that will do the trick and have your face peeling and feeling better than ever—without having your wallet peeled and emptied in the process. 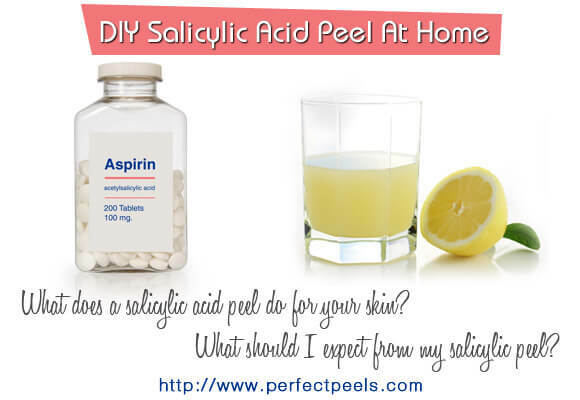 Of course if you don’t want to make your own salicylic acid chemical peels you can easily purchase a 30ml bottle of salicylic acid solution for around $20. 1 What’s a Salicylic Acid Peel? What’s a Salicylic Acid Peel? If you don’t know what a salicylic acid peel is, it’s a popular facial procedure usually recommended for people who are prone to having acne breakouts, for those who have sun-darkened, damaged, and wrinkled skin. The salicylic acid peel works by carefully penetrating the dirty, uneven, blemished top layer of the skin, causing it to slough or peel off, revealing the smoother, lighter, and more even-toned skin underneath. Salicylic acid is but one of the many agents used for what is collectively known as chemical peels. Also, salicylic acid peels are the mildest of all chemical peels, making them actually safe to use at home, with carefully followed instructions, of course! Of course, the star of a salicylic acid peel (aside from you, that is), is the salicylic acid. As was mentioned, you can buy pure salicylic acid in varying strengths over the counter from most drug stores and online, but for the cheapest, easiest, and simplest DIY salicylic acid peel, your other star might even be sitting inside your medicine cabinet right at this very moment. You’ll be using aspirin tablets—and you can’t get any easier or cheaper than that! You might be thinking, “Why aspirin?” You see, what makes this cheap and easily-accessible wonder drug effective in treating fever and minor pains, is salicylic acid. In fact, aspirin is also known by a longer and harder to pronounce medical name, acetylsalicylic acid, or ASA. So while more potent liquid salicylic acids can be purchased online, it’d be a waste not to use something so available and so affordable. Especially for first-time users, an aspirin-based salicylic acid peel is ideal. TIP! A salicylic acid peel is an excellent choice to eliminate blackheads and clogged pores. It also works great at treating acne, melasma, sun damage, fine lines and blemishes or to just improve your skin’s texture. Some things you should consider before getting started: first off, while an aspirin salicylic acid peel is by all means safe and effective, there are some instances when an aspirin-based acid peel would not be advisable. One of these instances is when you’re allergic to NSAIDs or non-steroidal anti-inflammatory drugs such as ibuprofen, naproxen, mefenamic acid, diclofenac, and the like. If you are, chances are highly likely that you’re allergic to aspirin or salicylates as well. If you’re unaware if you are allergic to these medications, it would be best to skip doing the chemical peel until you have consulted with a medical professional. Moreover, chemical peels in general are given to people with slightly problematic skin, so if your skin has a generally normal or mild condition, you could probably get away with something other than a chemical peel. TIP! Salicylic acid peel is the most popular peel for treating acne and acne scars. Now that you know the considerations involved, you should get an idea as to what the steps are in a chemical peel so that you can recreate the whole process as accurately as possible. If you’ve already tried a commercial chemical peeling procedure, or are planning to, you should pay attention to the steps that the professional will do, and even try to ask for the actual items that will be used upon you. You can also ask questions as to the purpose and benefit of each step or item. A basic salicylic acid peel has four steps: the priming, the peeling, the neutralizing, and the moisturizing processes. It might sound complicated, but it’s quite simple, really. First off is the priming. Priming means getting the face ready to accept the salicylic acid peel. You can do this by washing your face with a facial wash, but if you will notice at some commercial spas, they use something to wipe your face with to take off the dirt and grease. What they actually use is acetone—yes, the stuff you use to remove nail polish. It might sound weird, but pure acetone is used because it can remove any trace of dirt, fat, oil, and grease that may be left behind on your skin even after washing with soap and water. Removing all of these will ensure that the peeling solution will be better absorbed by the skin. If you plan on using acetone, you should buy one without any additives, fragrances, and colorants. Put some on a piece of cotton ball or square and wipe your face until the squares or balls become clean. The next process is the peeling, and it’s simply the step where the solution is applied onto the face. When you recreate this, remember to avoid the eye and mouth areas as these are very sensitive. You should leave the solution on your face for 10-15 minutes before going through the next process, which is the neutralization. The chemical peel involves an acid. To stop this acid from working its way into your skin, you have to neutralize it with something basic. Commercial spas may use all sorts of fancy concoctions, but a simple baking soda wash will do the trick. After neutralizing the acid, you will notice that your skin will already become visibly smoother and fairer, albeit a little dry. Dryness is a normal result of the peeling, so the next process—the moisturizing process—will take care of it. For the last step, you can use any moisturizer you have. Also, it would be better if you put on a layer of sunscreen before going out in the sun immediately after a peel for the next few days as your skin is still new and will be vulnerable to the sun’s harsh rays. The bowls will be used to make the peeling and neutralizing solutions. In one bowl, combine the uncoated aspirin tablets with the lemon juice. The lemon juice adds an extra dose of vitamin C which helps whiten and strengthen the skin. You’ll notice the aspirin tablets will dissolve immediately, but you can help it along by crushing them using the back of a spoon. It will form a paste-like consistency. Set this aside. In the second bowl, pour 1/2 – 1 cup of cold water and stir in the baking soda. Tap water will work fine, but cold water will bring a refreshing feeling to the skin. And that’s it! You’ve made your own salicylic acid peel. All you need to do is to wash your face, prime it with the acetone, apply the peeling solution and let it settle for 10-15 minutes, neutralize it with the baking soda solution, and finish with a good moisturizer. The above recipe is for a very mild solution, but if you like the idea of a slightly more aggressive peel that you can also do in the comfort of your own home, then I highly recommend the peels from the Natural Skin Shop. 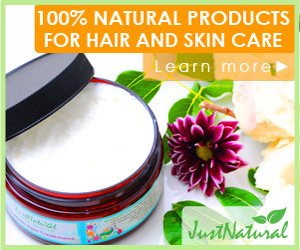 They carry very effective and superior professional-grade natural skin care products at affordable prices. Their medical grade products are Paraben-free, cruelty free and are also free of any cheap fillers and additives. Go Here to see their top selling products. Acetyl-salicylic acid dissolves in water, does not penetrate the skin and in no case will exfoliate your skin. I think the citric acid in the above recipe is acting as an AHA and that is why it might work. Try the recipe with and without the aspirin and see if there’s a difference. Not true. I tried this without Lemon Juice and my did exfoliate. combine it with lemon juice. Not water. As an esthetician, I was very surprised to see the recommendation for the degreaser in this article is acetone. I do my know of any spa or esthetician that would ever apply acetone to someone’s face! The degreasing agent that estheticians use is witch hazel, but you could use a brand name toner if you prefer. Please do not use the acetone, it can cause severe chemical burns and this stuff is extremely flammable! Everything else is correct. I would recommend sunscreen of an SPF 30 or higher daily and limiting time in the sun for at least 2 weeks. The skin after the peel will indeed be very very sensitive. Of course my professional advice would be to go to a qualified esthetician or spa to have any type of chemical peel as they are much better equipped to neutralize the acid if something goes wrong. Baking soda is usually what we recommend as a neutralizer, however some cases require more than baking soda, and a severe burn can occur in less than 3 minutes and leave you with scarring that may require months of treatment to fix. I’m not trying to discourage diy treatments as a lot of great things you can diy at home just as well if not better. I was just tying to help educate the dangers and risks of this type of treatment. Amanda makes a good point. Acetosalicylic acid (aspirin) is an anti-inflammatory so calms the top layer of the skin, but there is no way it would burn and exfoliate like a real liquid salicylic acid solution. Very useful information…. And very nicely explained..
I’ve tried out other salicylic acid peels in the past but they were way too strong and made my skin red. Instead of the peels, I switched to the Citrus Clear Grapefruit Spot Treatment – it has a 5% concentration of Salycylic Acid and is gentle enough to use multiple times per day. It does not make my skin red, and has the same results as a peel! I want to get rid of some mild scarring on my face from psoriasis and I am looking forward to trying this to bring some improvement to what was once a complexion to be proud of. I used 5 aspirin tablets & 2 Tbsp. lemon juice. It did not make anything that resembled a paste. Thin & watery. I applied with a cotton ball. After waiting 10 minutes I rinsed my face with plain water and a wash cloth. Is the neutralization step with baking soda necessary if you rinse completely? Just curious.